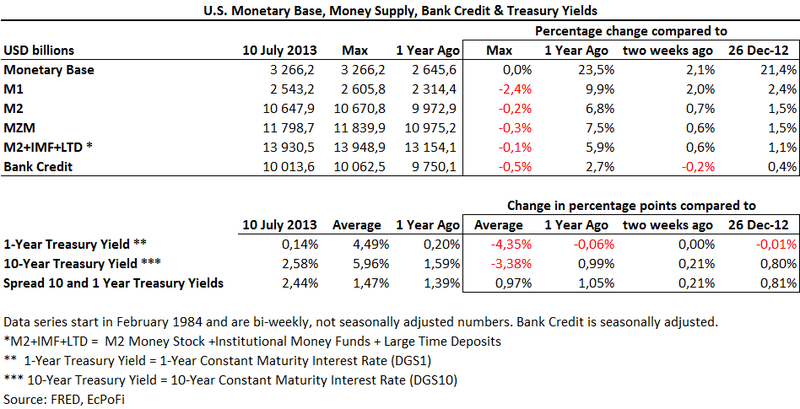 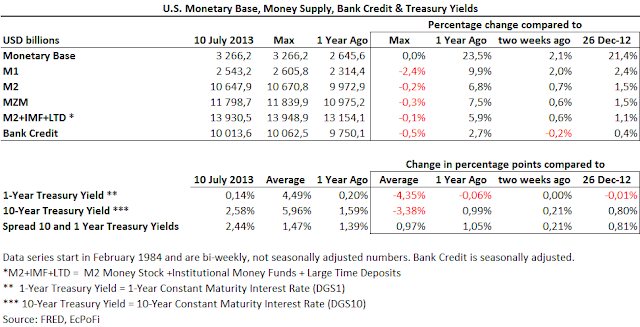 The U.S. monetary base (base money) increased by USD 68.0 billion, or 2.1%, for the bi-weekly period ending 10 July 2013 to end on USD 3.2662 trillion. This was the highest monetary base ever reported and a result of the USD 85 billion monthly amount the Fed spends on purchasing mortgage-backed securities and treasuries. 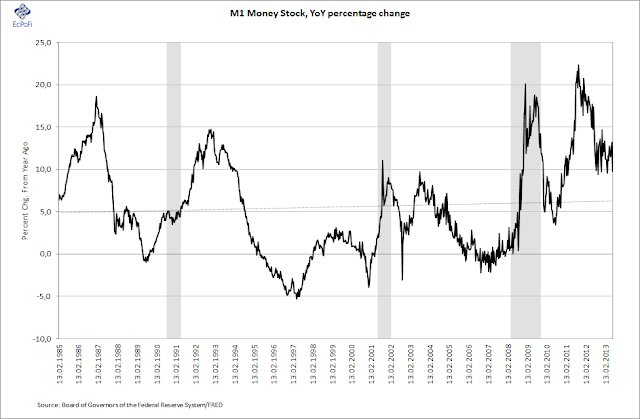 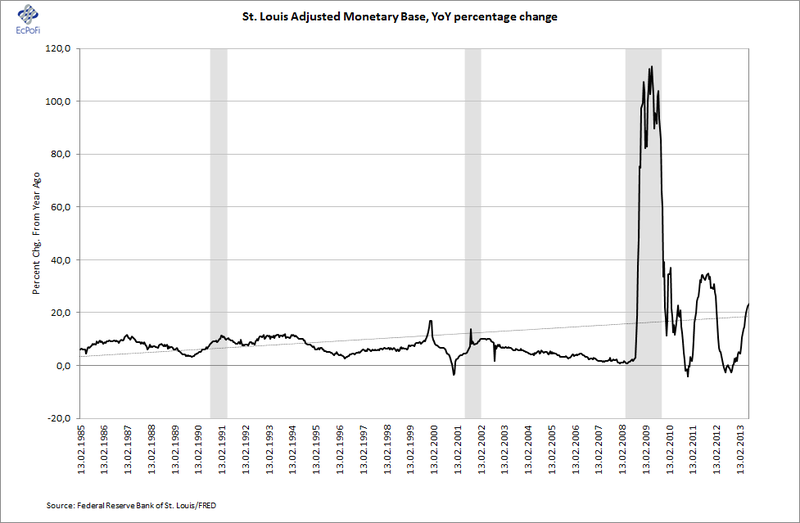 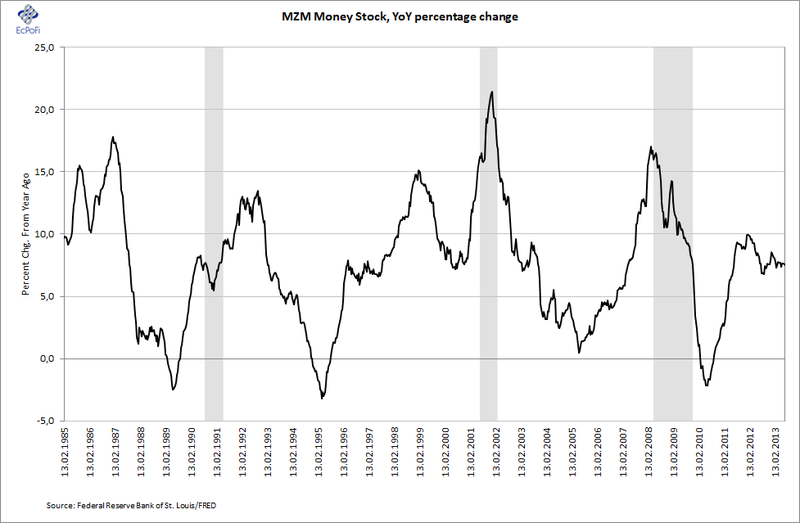 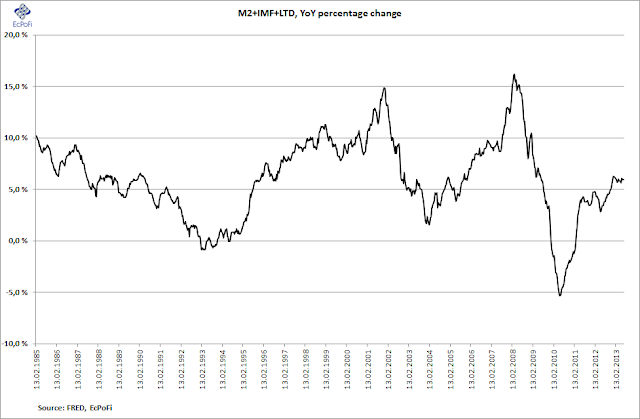 Until the Fed says otherwise, the monetary base will therefore continue to climb higher going forward. 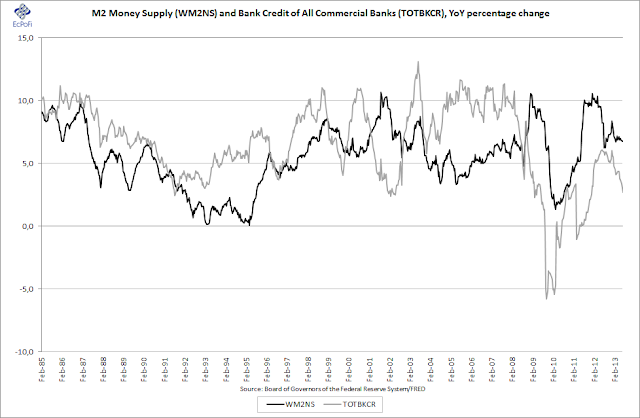 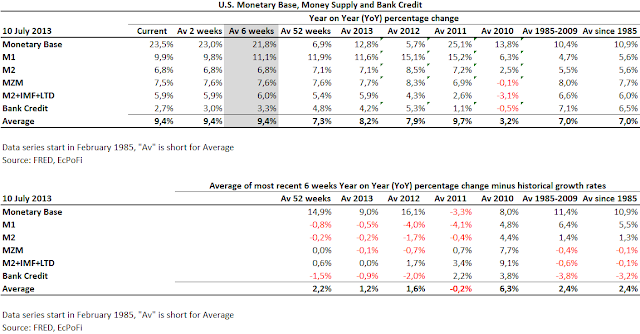 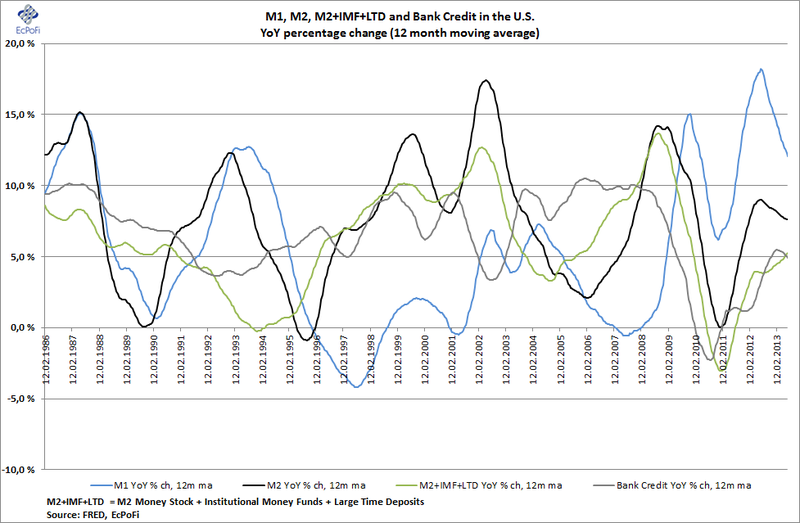 As we've pointed out for a while now in this bi-weekly report (see here for previous reports), the growth in the broader measures of money supply and bank credit is slowing down. 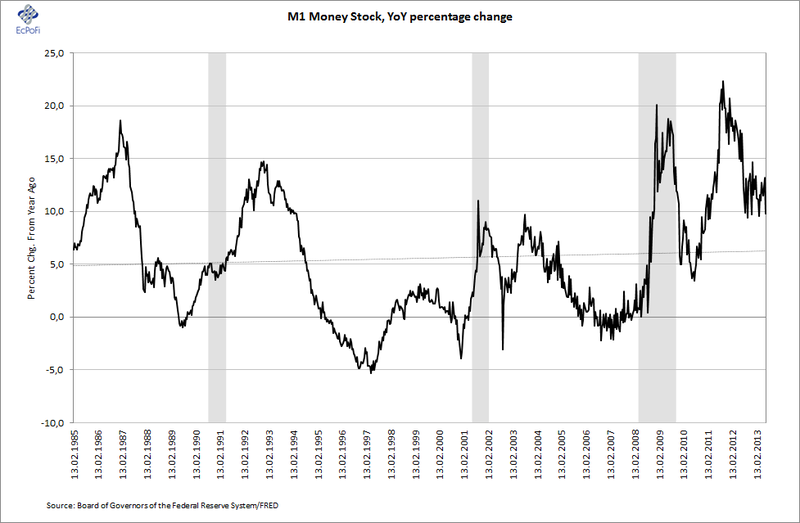 This is no different this week. Especially noteworthy in recent weeks is the plummeting of the growth rate in bank credit. 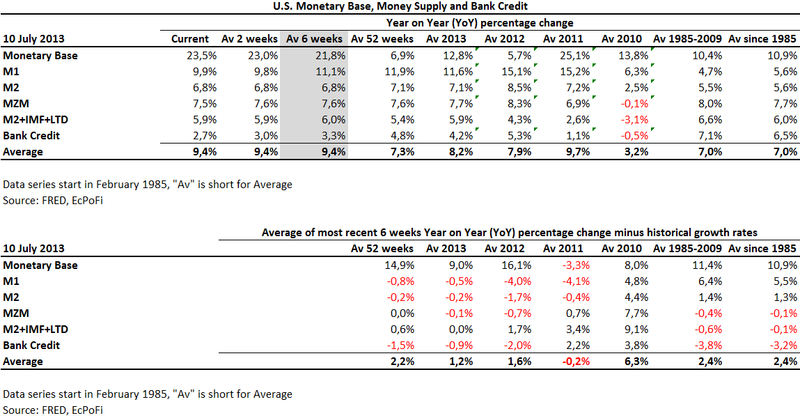 Having averaged 4.8% for the last 52 weeks on a year on year basis, the growth rate fell to just 2.7% this week. 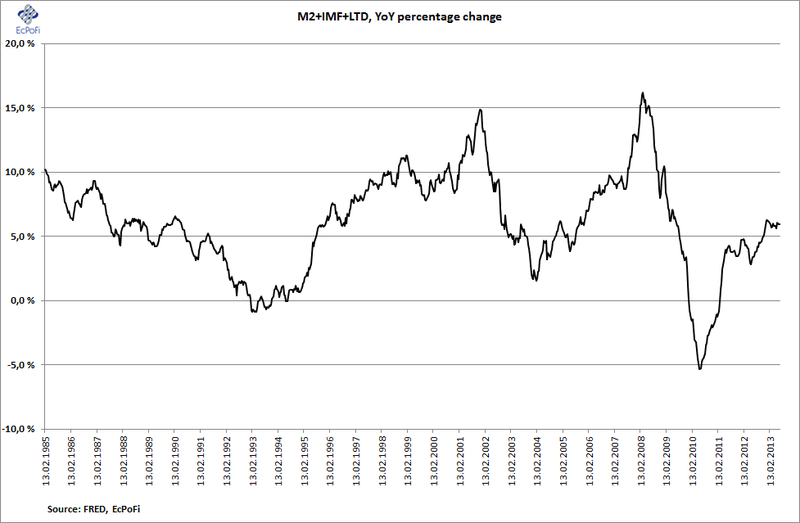 This was the lowest year on year growth reported since the bi-weekly period ending 28 December 2011. Bank credit outstanding hit an all-time high on 1 May 2013, but has since dropped by 0.5%. 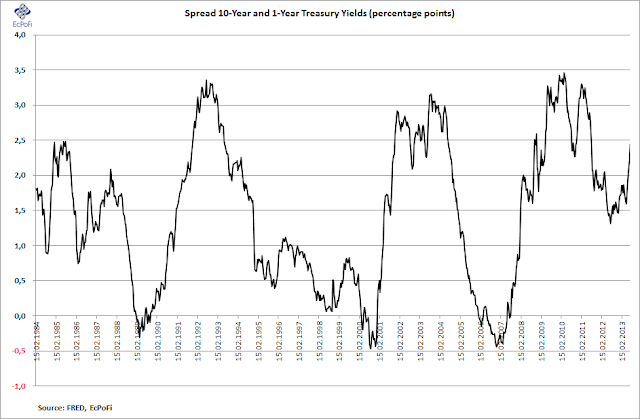 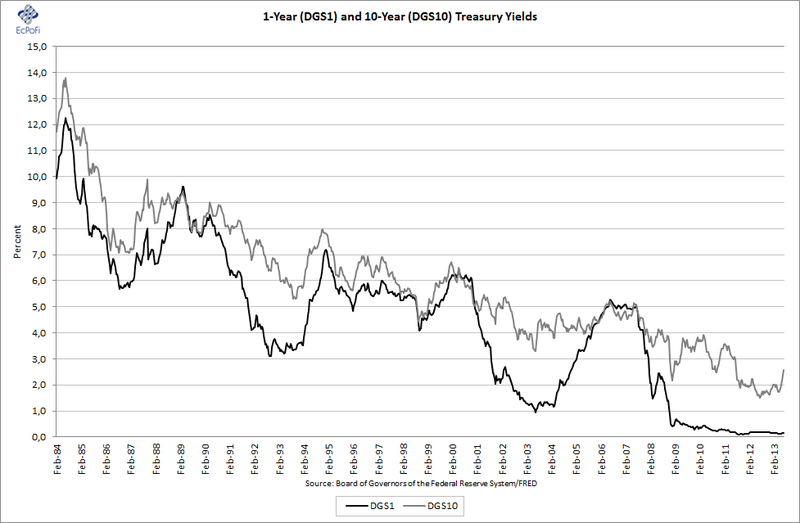 The 10-year treasury yield continues its upward climb, increasing 21 basis points. 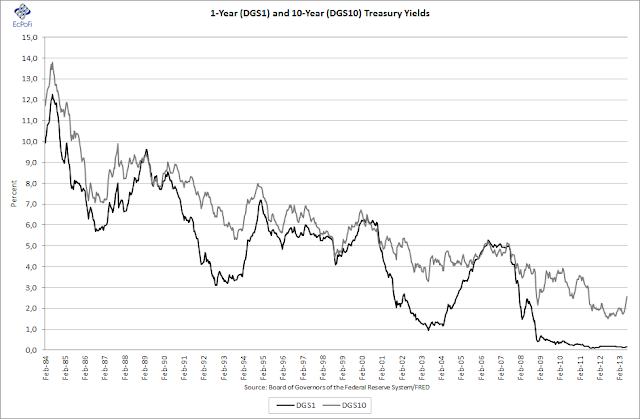 At 2.58%, the yield is up 99 basis points on last year, 80 basis points compared to the end of 2012 and the highest it's been since the bi-weekly period ending 27 July 2011 when it hit 2.98%. 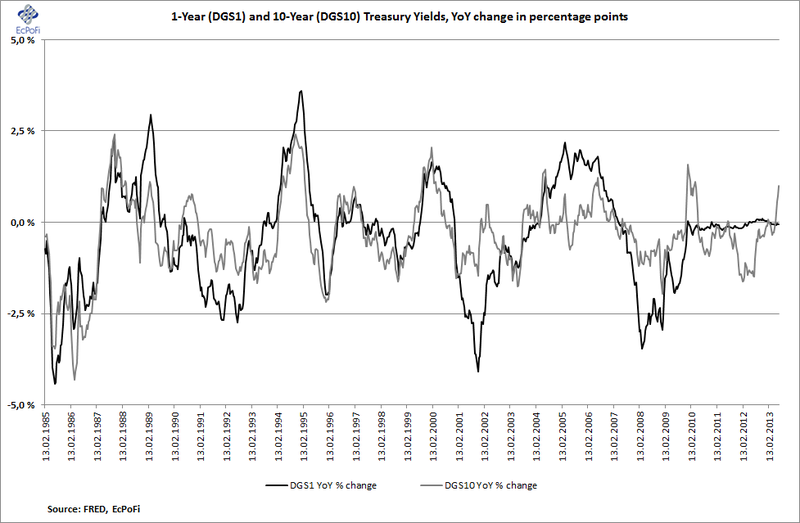 The 1-year treasury yield was unchanged from two weeks ago and is lower than it was one year ago and at the end of last year.